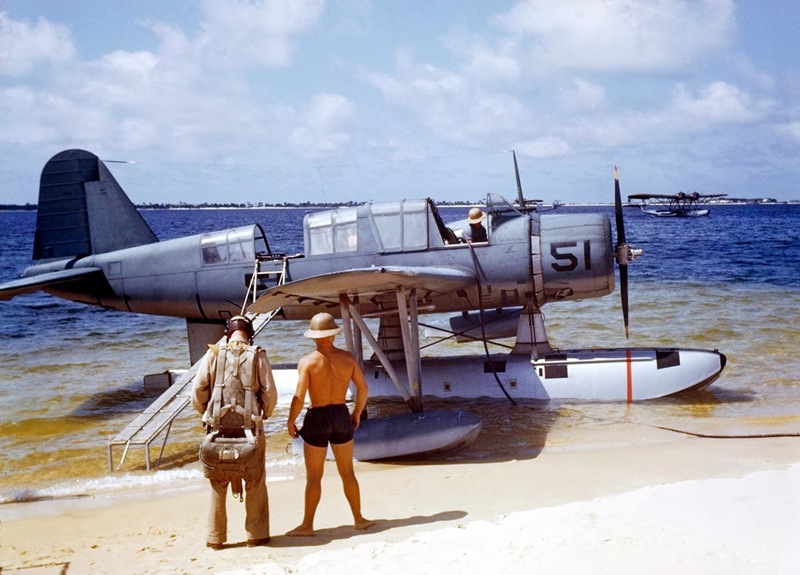 Back before the days of helicopters, the naval seaplane was king for over-the-horizon spotting. 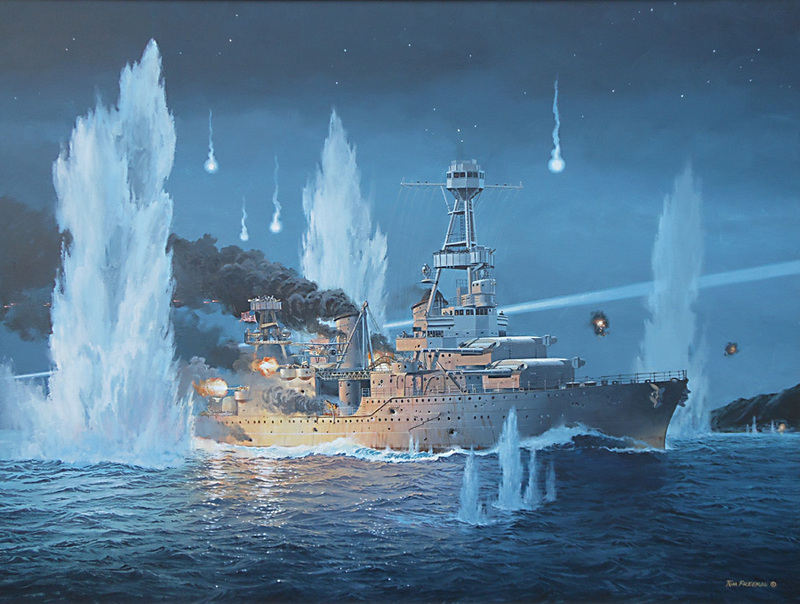 This included missions such as scouting for enemy ships, keeping up with the fleet, picking up those lost at sea, light transport of personnel and packages from ship to ship and ship to shore, as well as the all-important task of correcting distant naval gunfire missions. 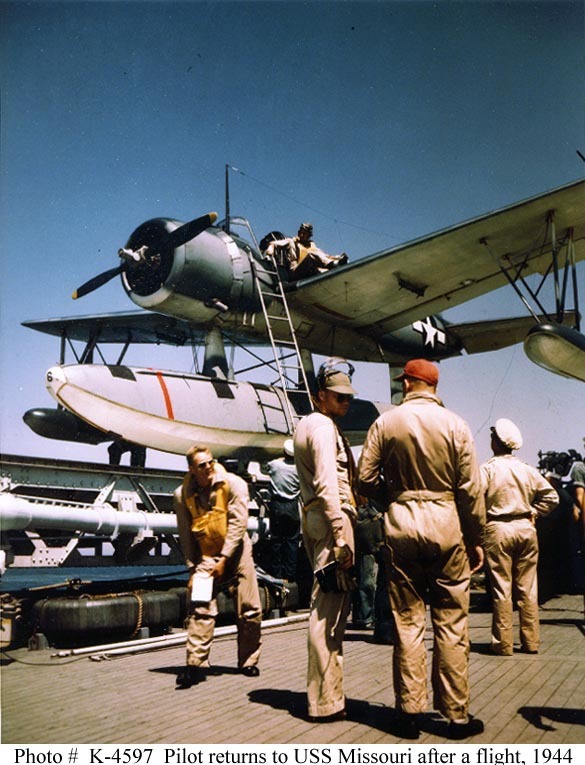 The Navy used Curtiss CS-1 biplanes, Grumman Ducks, Vought O2/O3 Corsairs and the Curtiss SOC Seagull through the 1920s and 30s (and in the Duck’s case even into WWII) for this task. In 1938 the new Vought OS2U Kingfisher, a mid-wing monoplane with a large central float and two outriggers had been introduced to take their place. These slow (160kts) and unwieldy scout planes were not built for combat. Rather, they served as the eyes and ears of the fleet. Launched by catapult from ships as small as light cruisers, they gave a tiny air wing to even the most modest of ships. 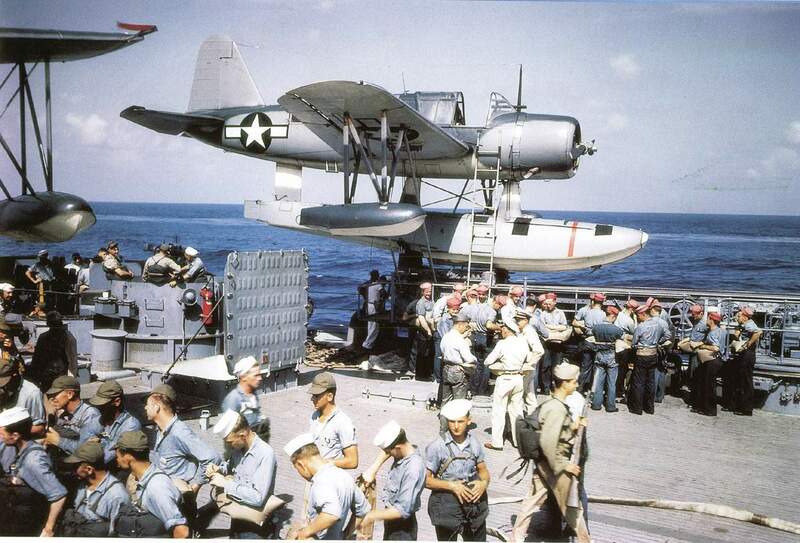 Some cruisers were set up to carry as many as four of these planes. 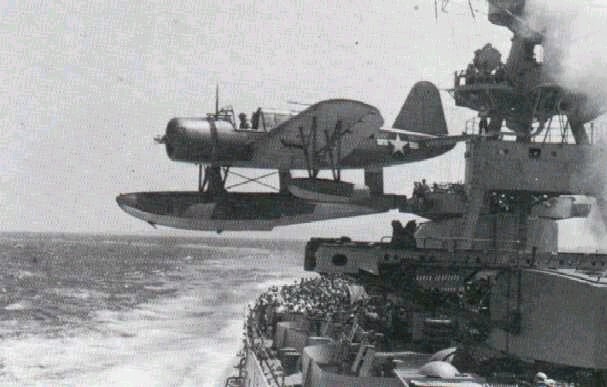 A Kingfisher being launched from the Cat of the USS Pringle (DD-477). One of the few 2000-ton Fletcher class destroyers equipped for these aircraft. They had long legs, capable of a range of some 800 miles. If needed they could carry 650-pounds of bombs which made them useful against lightly defended targets (such as Japanese freighters). 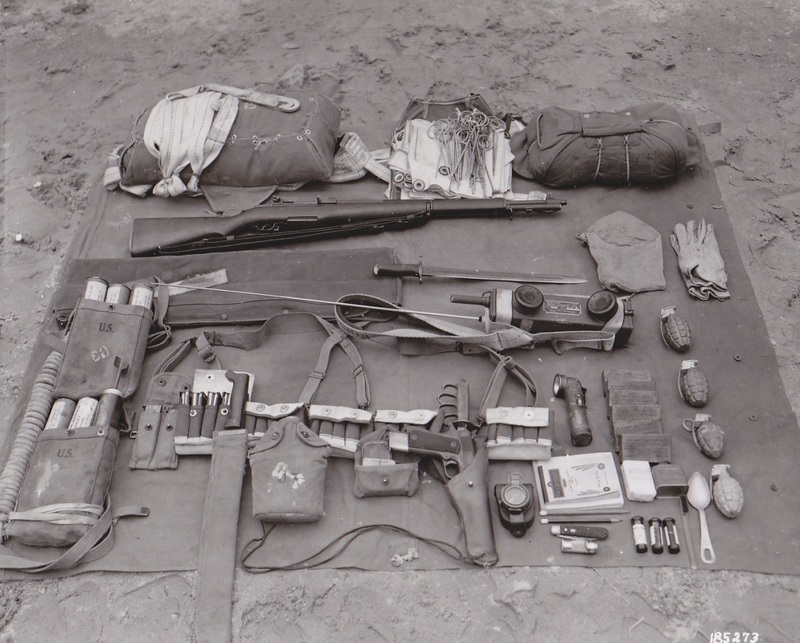 Over 1500 were produced and served the U.S. and her allies as late as the 1960s. They were so successful in fact, that the follow-on and much more heavily armed and fighter-like Curtiss SC Seahawk that replaced it in Navy service was itself phased out in 1949. Killed by the advent of the helicopter and long-range surface radar. 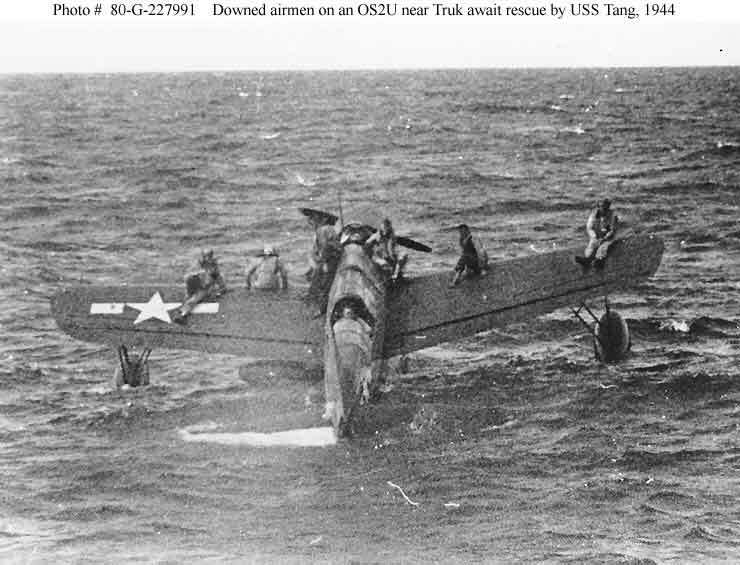 The pilot of a Vought OS2U floatplane unstraps his flight log from his leg, after returning from a flight. The airplane is on the catapult behind him. Photographed during the ship’s shakedown cruise, circa August 1944. Official U.S. Navy Photograph, USNHC # 80-G-K-4597, now in the collections of the U.S. National Archives. 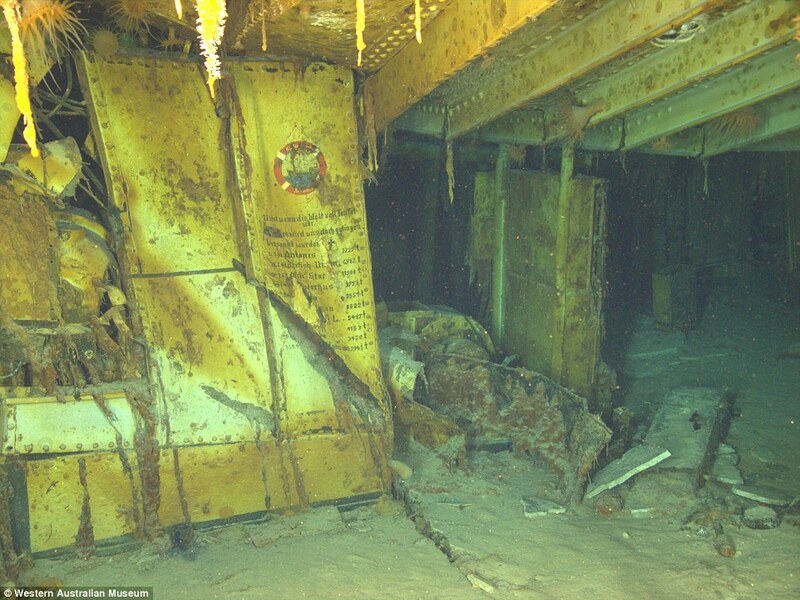 Sadly, few Kingfishers remain as museum pieces– most notably at the North Carolina and Alabama battleship museums. Thanks for all these great articles – I look forward to Warship Wednesday and related articles every week. I do want to point out that the second photo supposedly off the destroyer USS Pringle could not possibly be right as no destroyer had an armored tripod mast aft of the catapult. You can also see the ends of the local rangefinder sticking out of the major armored turret so this is probably one of the rebuilt WWI battleships.